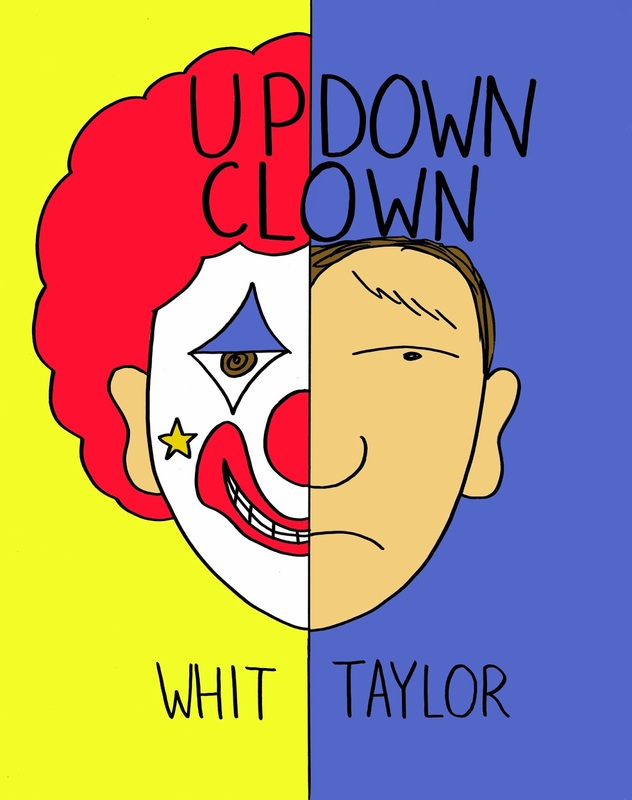 Ninth Art Press is proud to announce the upcoming publication of Whit Taylor's Up Down Clown. This fictional graphic novel tells the story of a children's party clown who struggles with bi-polar disorder and its effects on his relationships and career. Told with humor and compassion, Up Down Clown displays the clear-eyed and insightful approach to characterization, dialogue and relationships that has characterized all of her shorter works to date. Ninth Art's creative relationship with Whit Taylor goes back to her first anthologized story, "The Greatest Li'l Architect of All Time," which was included in 2012's Greatest of All Time Comics Anthology. Last year, she edited our anthology SubCultures, also contributing her story "The Synthetic Option" to the collection. In the meantime, Taylor has produced an ever-growing list of excellent print and online comics, including Boxes, Watermelon, Stethoscope Microphone, the series Madtown High, and The Anthropologists, published by Sparkplug Comics in 2014. She is currently posting her comics on Darling Sleeper. Up Down Clown is her first work published as a graphic novel. Taylor will be a special guest at the Rhode Island Independent Publishing Expo, March 28-29, 2015, and Up Down Clown will debut at the show.